One of Will Self's best-loved novels, newly reissued by Grove, The Book of Dave begins when East End cabdriver Dave Rudman's wife takes from him his only son. In response, Dave pens a savage jeremiad against the contemporary world that filters his fearful bigotry through religious mania, with a generous dose of the London cabby's unique knowledge of the sprawling city. Dave buries the book in his ex-wife's Hampstead backyard, intending it for his son, Carl, when he comes of age. Five hundred years later, Dave's book is found by the inhabitants of Ham, a primitive archipelago in post-apocalyptic London, where it becomes a sacred text of biblical proportions and the template for a new civilization. 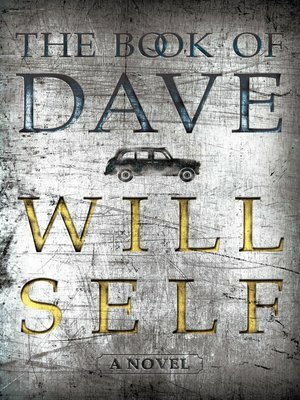 Equal parts dystopian fantasy, religious allegory, detective story, and tribute to the sometimes fraught relations between fathers and sons, The Book of Dave is an ingenious meditation upon the nature of religion and a caustic satire of contemporary life.